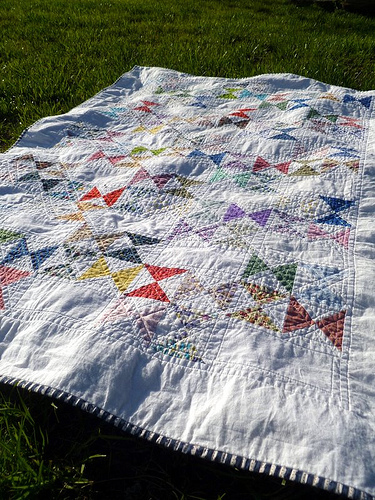 i can't believe it - my quilt is on moda bakeshop today! yep, it's official. i'm a moda bake shop chef! i am so pleased to share the tutorial over there. here she is, charm crossing! there's so much i want to tell you about this quilt pattern. and there's a great giveaway at the end, as a reward for listening to me blather on!! i made the original forevah ago. i used a bunch of floral charm squares i had collected doing swaps online, and some white tone on tone leftover from a project. at the time, i just wanted to make a quilt, to get over my fear of making a quilt. hourglass blocks seemed just hard enough, so that's what i made. 100 of them. but i forgot to pay attention to the orientation of the squares when i stitched four of them to make a block. so i ended up with some that had horizontal hourglasses in the top corner, and others that had vertical. so i played around with them on the floor and thought, huh, if i leave a space i can make this work. so i added in the white rectangles, and then a wide border. i quilted it on my little machine. it's still the largest thing i've quilted myself, because honestly, it sucked. i just did straight lines, following the stitching, which looks cool on the back. but i didn't know what to do in the centers of the white rectangles, and in the border, so they just stayed blank. i bound & backed it in thrifted fabrics. i posted pics of it in my flickr, & i still get new comments and favorites on it. i tossed around the idea of making a pattern, but don't know pdfs. one day this summer, i took the plunge & submitted it to Moda. i was so thrilled when they said they liked it! OK, fast forward. here's the back of charm crossing. i had a swatch watch in these exact colors back in jr. high! hahaha! 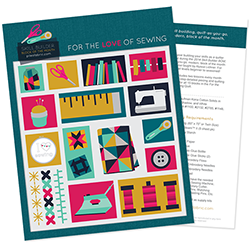 working with moda's bella solids was a nice change. i love the variety in the bella 2012 colors, they all play well with each other. the indigo is really pretty. bella white is creamier than kona, and the fabrics feel a little softer than kona. but just as nice to work with. i couldn't get it basted without wrinkles, & then i tried three times to quilt it. for whatever reason, my machine & i could not work together. frustrated with ripping out stitches, i turned to the KCMQG facebook page & asked for help. Ariane of Callie Grace Quilts donned her cape and came to my rescue! she has a new longarm business, and she did an amazing job on this quilt! i gave her free reign, so she chose the design. she did a dense paisley design in all the white, outlined the hourglasses, and it looks wonderful. so be sure to check out her website, and get some of those tops finished! 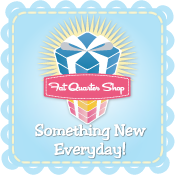 head over to fat quarter shop, choose what charm packs you'd want to get, and leave me a comment here. then click the correct rafflecopter button to enter. personally? i'd choose mama said sew. giveaway ends next tuesday the 4th at midnight , and winner will be drawn and notified on wednesday. 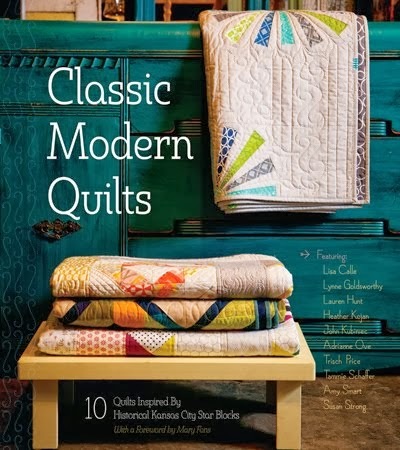 the winner will be responsible for shipping their quilt to and from Callie Grace Quilts. Can I pick form the Coming Soon? If so, I love love love Cuzco and the Marmalade in flannel. I like the Vintage Modern and the Mama Said Sew. Congratulations on becoming a Moda chef! I rather like Mama Said Sew and Birds & Berries. Congrats on having your quilt picked -- wonderful! My two favorites are Color Wheel Over the Rainbow batiks, and Island Punch Mini Tonga Treats. I would choose The Birds and the Bees Charm Pack Tula Pink for Free Spirit Fabrics and Mama Said Sew! I love the Blitzen by Basic Grey. Love the Vintage Modern, too!!! I would choose Sew Stitchy! Thank you for a lovely giveaway. I would choose two packs of Mama Said Sew. Gypsy Girl is on my must buy list. I saw yout quilt over at the bake shop and already printed the tut to use for an upcoming scrap quilt. I would get Cameo, love it so much I think I would get 2 of them! What a tough choice, I'm very tempted by Ellen Bakers Quilt blocks and Kaffe Fassetts Spot on pack! So many lovely ones to choose from. I'd choose Sew mama Sew and Riley Blake's chevrons. Quilt Blocks and/or Out to Sea! I have to stop looking at designer fabric!!! Oh, I love the Mischief line by Nancy Halvorsen! And am currently working on a quilt with some of Lucy's Crab Shack... so that would be a great choice, but I think I love JOY too much! I would choose two of Cherry Christmas. I love that line! This is a really great quilt. I would choose both egg blue and navy blue and probably use gray as my sashing/border. Love it! I would either get Lotta's Bella or Chicopee. Congratulations on your Moda Bake Shop pattern! I love it! I would get Cuzco. I want to make myself a pillow with it. Congrats on your pattern! I'd take Blitzen and Little Black Dress. It's a tie between Gypsy Girl and Spa, but I also like Cuzco...oh I don't know! If I win, I would say just surprise me with two charms packs of one of these lines! Congrats on your first MBS recipe! Someday I hope to be a MBS chef too! I would pick "Mama Said So" and make the MBS quilt for my sewing room. (I have a couch and TV in there) A Christmas line would be fun too!! WARNING: I have been at the FQ shop for the last hour.......bad thing thing is I have no extra money to spend on fabrics this week and no extra time to ooh and ahh over fabrics I receive from them.....good thing is, I have a nice selection in my shoping for next week when I get paid!!! LOL!!!!! I would love to choose the mama said sew for myself, but I have a lot of stuff for me, and tons of girly fabrics. I need to choose some boyish type fabrics so I can make your quilt, so I like Lucy's Crab Shack, Bungle Jungle or Apple Jack Cotton. Any would do, They are all cute! I love your Bake shop Quilt and it is going to become my next leaders and enders project. THANK YOU for Sharing!! 220Notting Hill or Chicopee for sure. I really love this quilt! I'm crushing on triangles, lately, I think (seems to be the trend, anyway). I also am really loving the charm pack patterns that are popping up everywhere. I've got a couple of packs that I'm stalled on what to do with--I think this pattern may definitely be in my future. I would get Moda Bungle Jungle - it's super cute! Great quilt! Thanks for sharing the tutorial and congrats on being a BAKER! Didn't realize I was to go to FQS first...I would get Tapestry charm packs! LOVE that line! I'm thinking Marmalade in flannel OR Cuzco--what great colors. Not out yet, but you have to have something to look forward to! Amy Butler"...so hard to choose! I really like the Moda Bake Shop pattern you posted - and now I subscribe to your blog! I'll take two packs of little black dress please. Thanks for the giveaway. I rather like Odds & Ends and Ooh La La. This is a fabulous quilt! Very bright, very modern. I like Birds and Berries and Chicopee. I would choose either "Chicopee" (because I used to live there) or the 1930's Bella Solids...Congrats on the pattern...Love it!! Congratulations for being a Moda Girl.It`s awesome!! I would choose little black dress and gypsy girl. I like the Lansdowne road charm pack. I love the new Marmalade line. Just found your site from the Moda Bake Shop, Congrats, your quilt is gorgeous! I would choose Bella and Mama Said So Charm Packs if I won the drawing. Thanks for the great site, I feel like I have won already finding it!!! I just found your site from Moda Bake Shop, Congrats, your quilt is gorgeous! I would pick Bella and Mama Said So Charm Packs. Thanks, I feel like I already won finding this site!!! Congrats on being published, yippee! I'd definitely have to go with Chicopee as my choice, but it was hard to narrow down!! Thanks! I like the Twirl Charm Pack and Color Wheel over the rainbow batiks. I really like "Padstone Range" and "The Morris Apprentice". Kate Spain. I love your quilt!! I would like Pieces of Hope by Riley Blake and Good Morning. I'd choose Curiosities and Good Morning. Thanks for the giveaway. I'd pick Oh Deer! and Sunrise over the Rainbow batiks. I would choose Chicopee and Vintage Modern. I would choose the white Bella solids. You can't have too many whites! I love your quilt and I am going to make it! I would choose Mamma saidsew and Oh Deer. I would choose flirt - love the colors! I'm working on a special quilt for my MIL right now and would love to win! I'm going to quilt it myself - or try to, but it'd be awesome to be able to send it off to be done by a professional! Man, it's hard for me to choose! My favorites are Riley Blake small chevrons, and Simply Color by V & Co. Thanks for a chance to win! Congrats on you Moda bake Shop quilt! it's on my to do list. 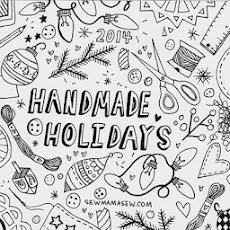 and for the charm packs i would pick curiosities by Benartex and Santa's Workshop for Riley Blake. I like Good Morning by me & my sister. i would choose mamasaidsew. thank you! Can I choose 2 of Mama Said Sew please? If not then the other one would be Moda White. Love your pattern! I'd choose Good Morning and Bungle Jungle charm packs. i would love some of the kaffe fassett fire 2012. great quilt! I would choose "Good Morning" by Me and My Sister designs -- and the New one from Fig Tree Quilts! I like Little Black Dress, Mystique, & Phoebe. I think the colors and fabric designs will turn an old quilt pattern into a modern quilt. I like Bella and if we can choose from the coming soon, I "HAVE" to have some Winterkist! Beautiful quilt - I love that you took what happened and made it into something fantastic and interesting. And I love the quilting! I was going to go for the 1930 moda solids - but then i as the Pieces of Hope. I would have to go for that so I could make a donation quilt for a local walk in central NY. Thanks for the giveaway and the wonderful bakeshop quilt. What a joy to "have permission" to browse all of the lovely fabrics at the FQS! If luck is with me on the fourth, I would choose "Odds and Ends," and "Blitzen." Thanks for the "Charm Crossing" tutorial and the giveaway! Bonnie & Camille for Moda Fabrics I think they would look really great using your design. congrats on Moda Bake Shop! I love the Field Study Charm Pack byHorner..Thanks for a chance to win! I am not lying when I say that I will be making this quilt and it is so BEAUTIFUL! Great job and congrats! What would I pick from FQS? Oh Deer! I love your design! I am going to jump in and try it. I love the Spa collection. I LOVE this quilt! Can't wait to give it a try. 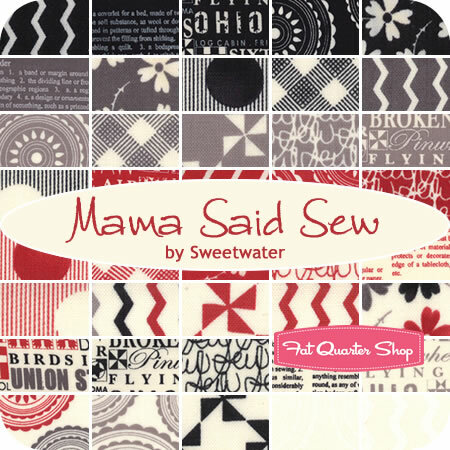 I would pick Mama said sew for the great text prints...love them! What a tough choice. There are just so many fabrics I want right now. I think though, that I would choose Blitzen and also Joy by Kate Spain. I have Grandchildren I need to make holiday gifts for and those both would be wonderful to use.